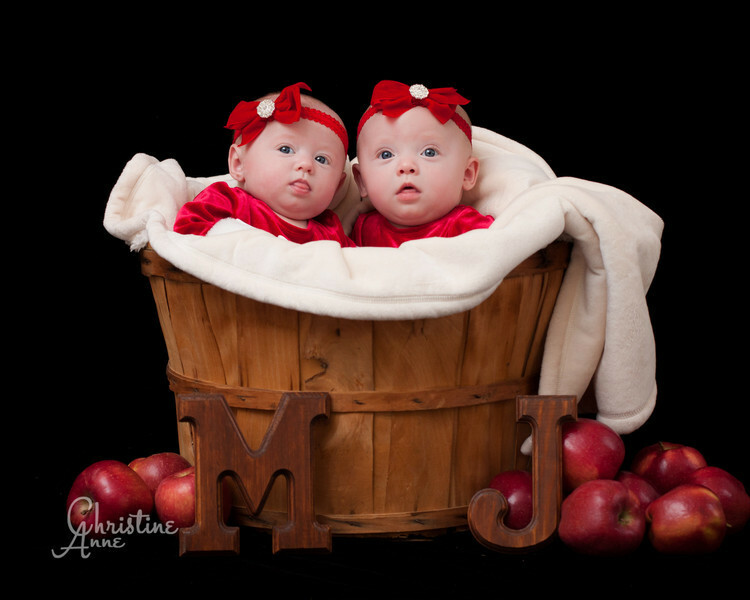 I was so excited to visit these clients and meet their beautiful four-month-old twin girls! 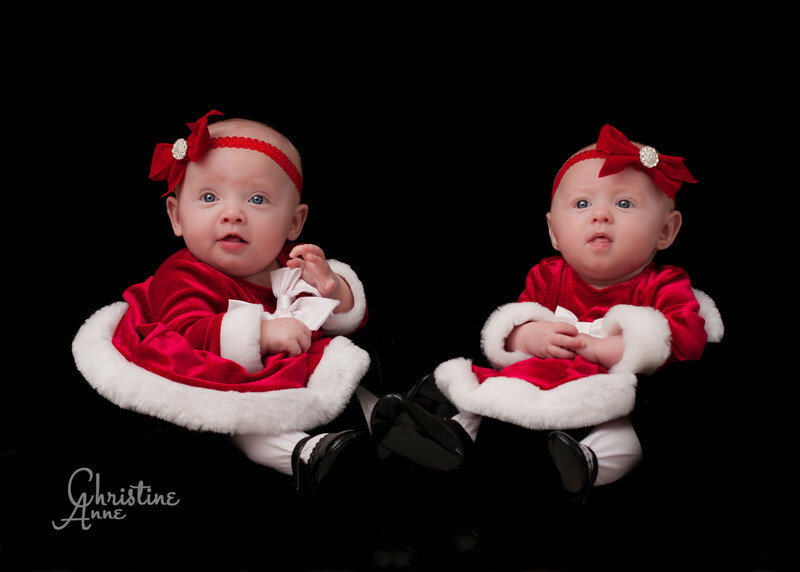 The two little ladies were completely adorable in their matching Christmas outfits, and they remained content throughout the long portrait process. The hardest part was getting them to smile at the same time, and look in the same direction! I can imagine someone peeking in from outside, wondering why I was crouched on the floor with the parents behind me making all sorts of noises and doing acrobatics!